So there’s a new tax reform bill now. Say what you will about who benefits and what the damages will be, real estate and second homes in particular dodged several bullets. Despite much anticipation that the second home mortgage interest deduction and 1031 exchanges would be eliminated, they were not. Quite. You may still deduct interest on a second home mortgage, but limited on new loans to the amount under $750,000. Interest on old loans continues to be fully deductible to $1 million. So don’t pay that old mortgage off if you want to keep the big deduction. There should be no appreciable effect on our market from this change because half of our sales are for cash and those borrowing more that $750,000 probably aren’t that worried about the interest deduction anyway. 1031 exchanges are largely unchanged which is quite a surprise. The only appreciable change is that now personal property, such as art and airplanes, is no longer considered “like kind”. This change seems aimed largely at Bitcoin which has been used to evade capital gains apparently. It’s personal property and no longer useful for 1031 exchange. Here in Colorado, property taxes are very low (and the roads show it) so the $10,000 cap on deductions won’t affect many people. And once again, if your property has more than $10,000 in tax, you won’t feel a thing. Apparently real estate used in business is not subject to the cap. All in all, it seems like business as usual for most first and second home owners tax-wise. The effects on the Summit County real estate market will probably minimal. Get some advice on all of this from a real tax professional, though. 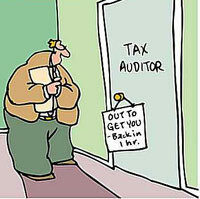 If you tell the IRS that your Realtor told you that deduction was OK, prepare to be laughed at. Or worse.